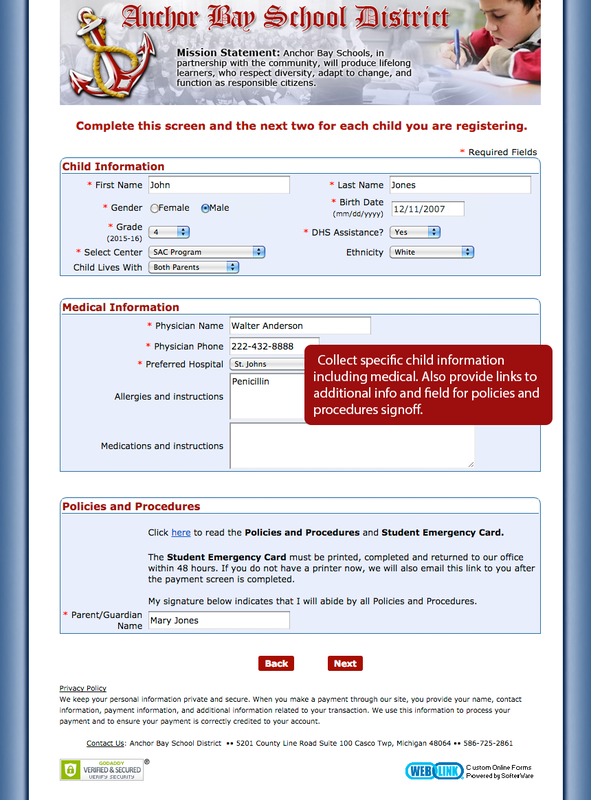 WebLink makes it simple to provide customizable online childcare forms for virtually any purpose. 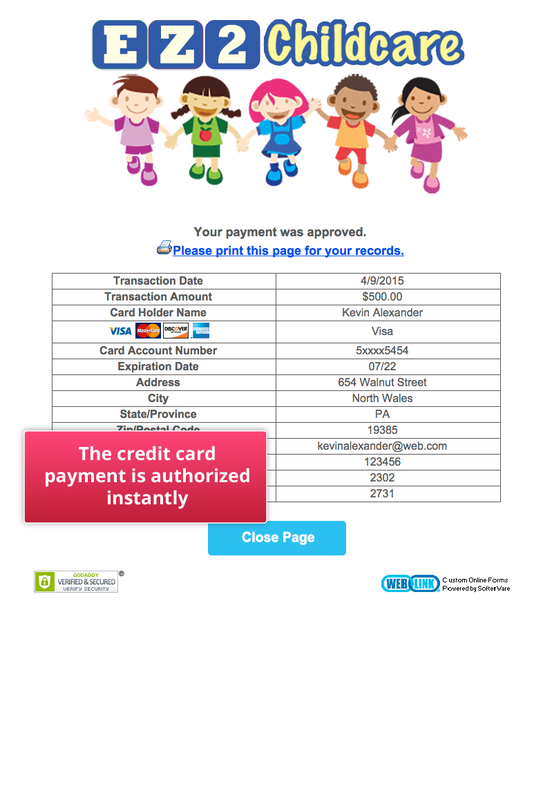 Reviewing, accepting and downloading data from completed forms is quick and easy using WebLink’s Review and Acceptance Center. 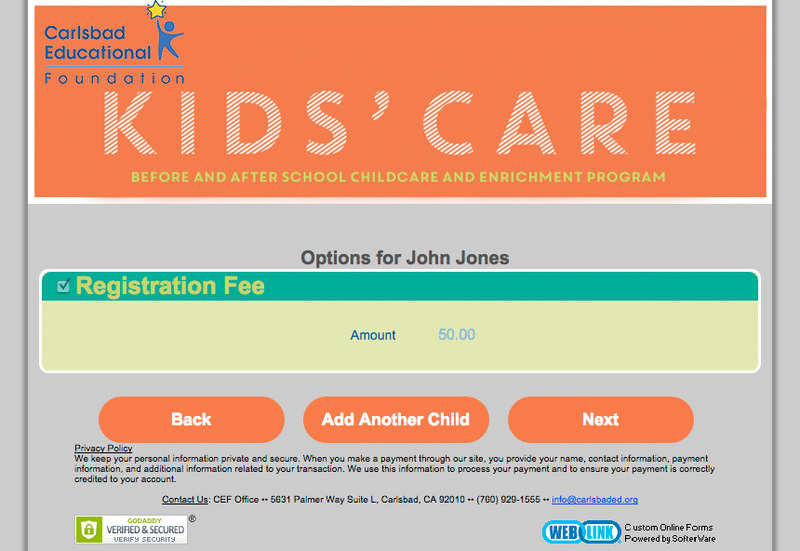 Carlsbad Educational Foundation registration is beautifully styled and allows parents to select from multiple childcare sites and schedules. 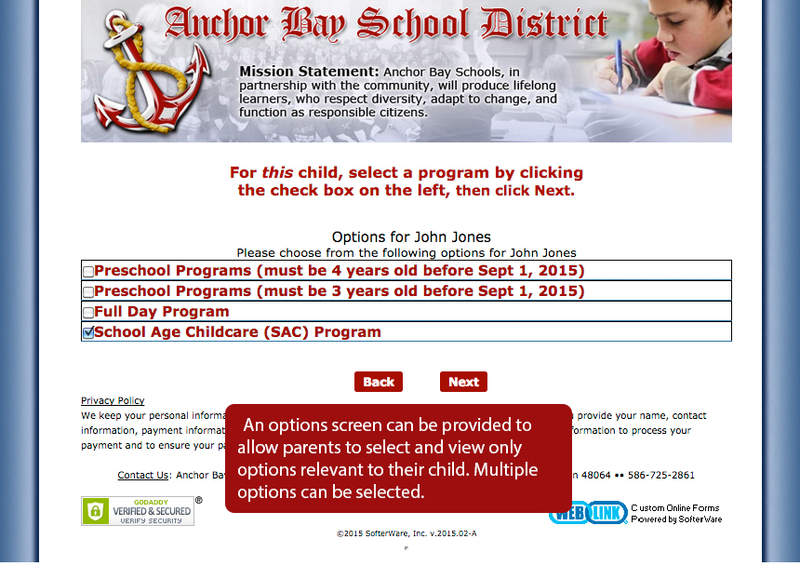 Anchor Bay School District allows parents to view options relevant to the child being registered and chose from various schedules within those options. 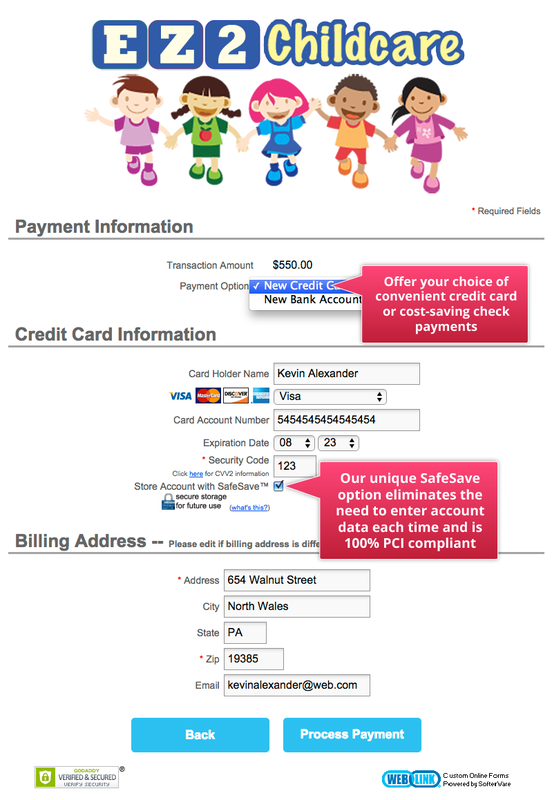 They also offer the option for parents to store their payment method to make future payments via auto-pay or in person convenient and easy. 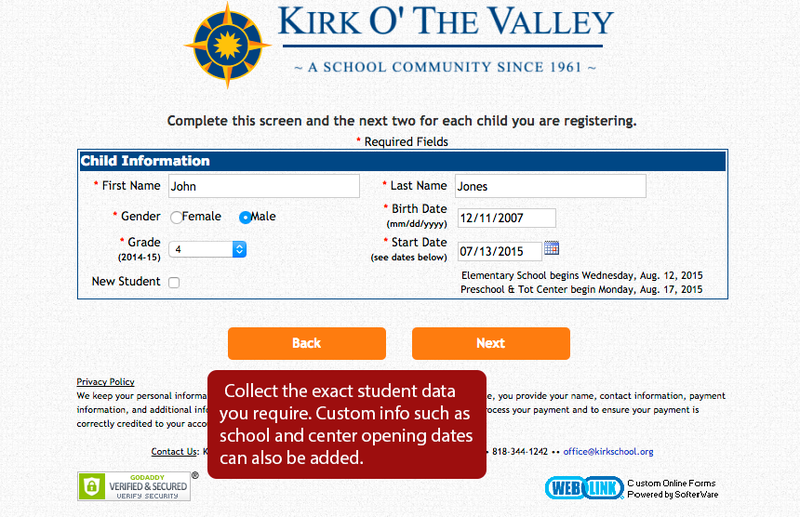 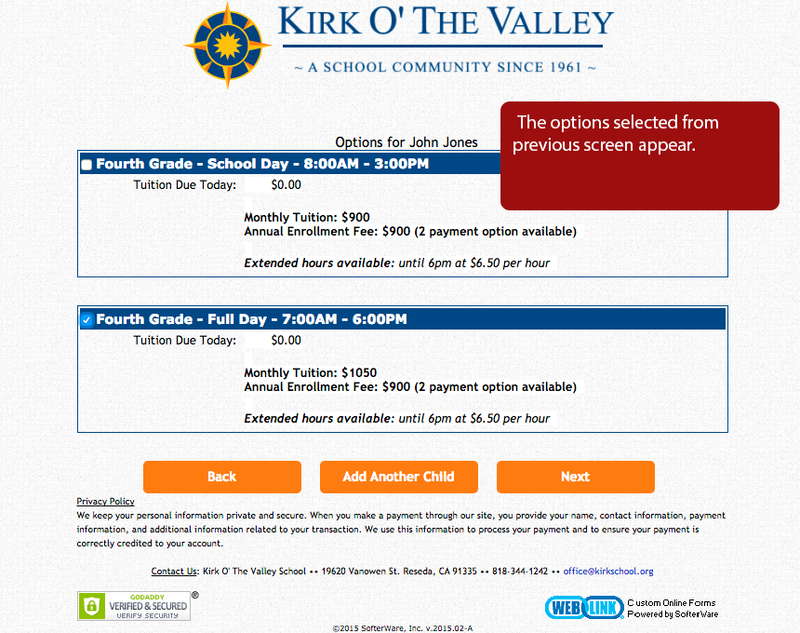 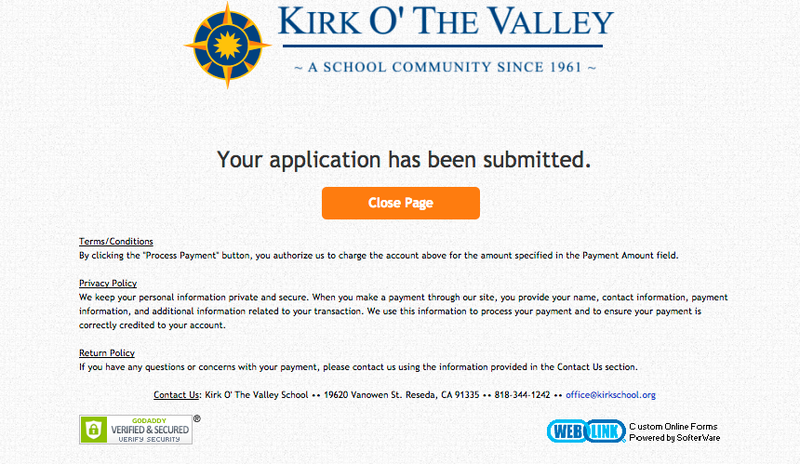 Kirk O’ The Valley School also allows parents to view options relevant to the child being registered. 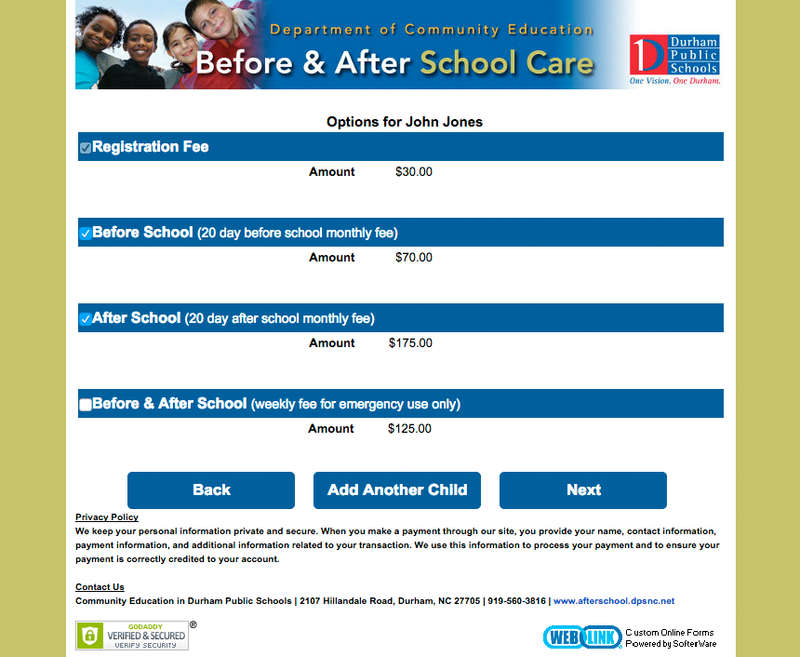 Their form does not require a payment during registration, but parents are billed later via email. 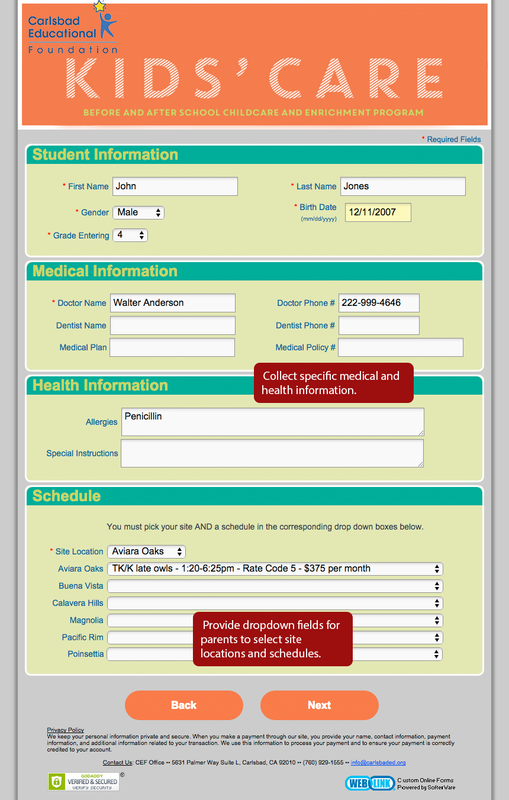 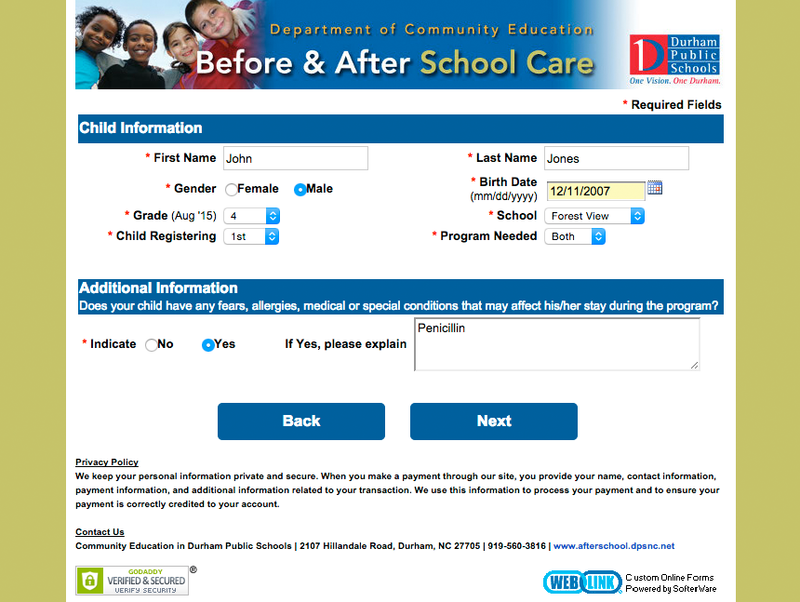 Bethesda Child Development Center’s form shows how extensive health information and permissions can be obtained during the registration process. 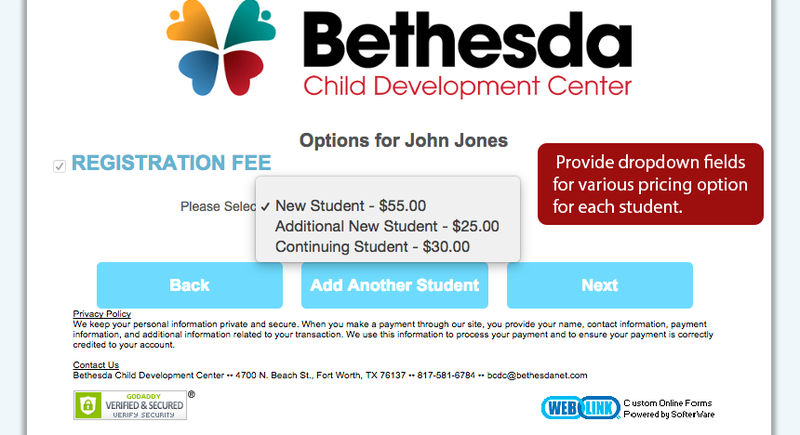 It also shows how varying registration fees can be offered for new students, additional students and continuing students. 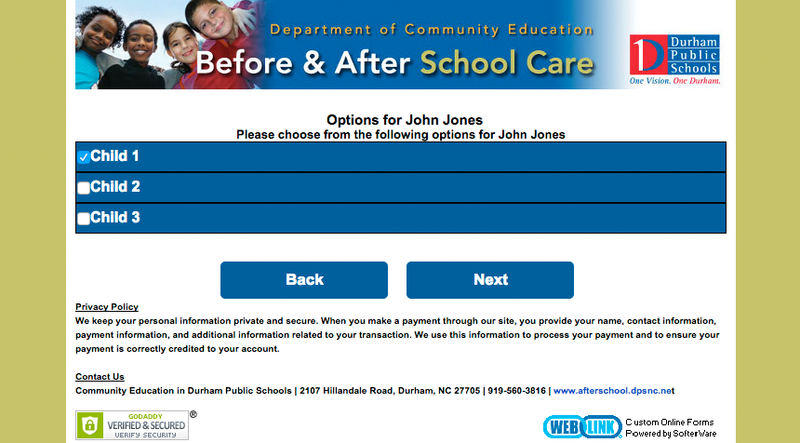 Durham Public Schools’ form charges an automatically calculated 3% online payment convenience fee to cover their processing costs. 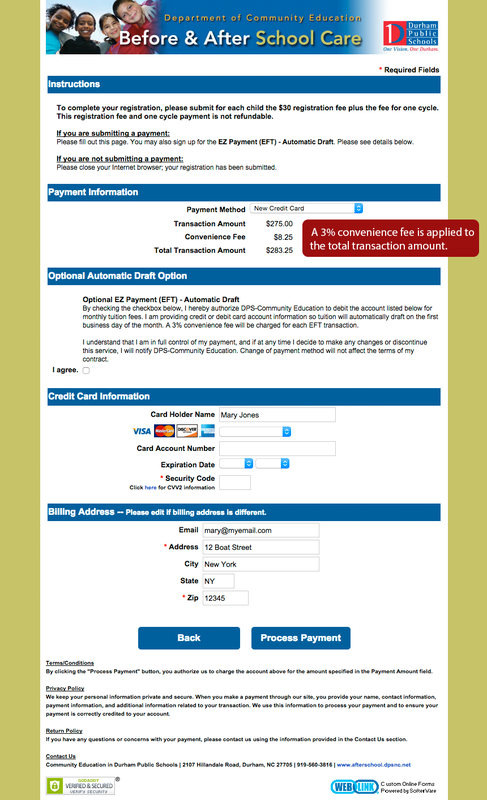 Convenience fees can be percentage based or a flat fee. 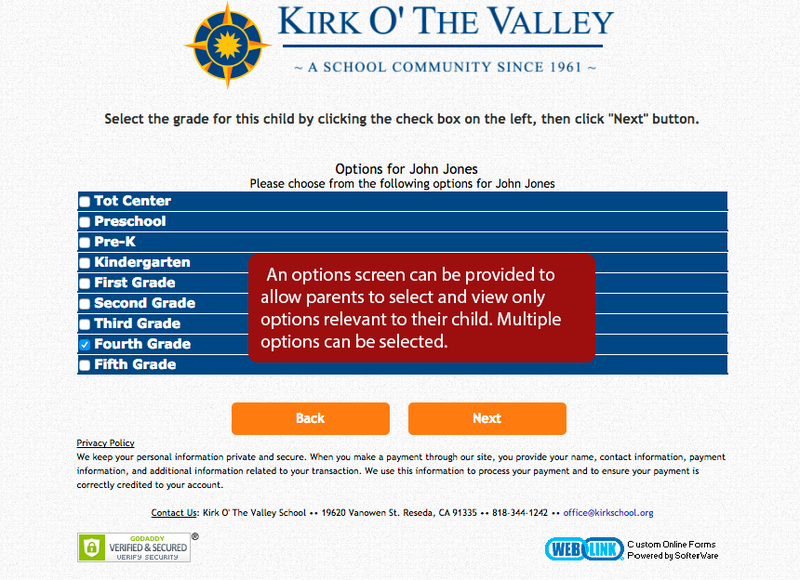 YMCA Community Family Center demonstrates how online forms can match your website, colors and logos. 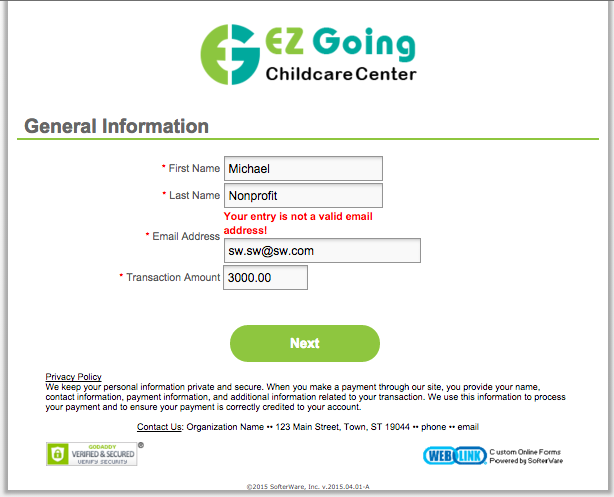 These forms integrate with your site while the data collected integrates with EZCare – saving you time! 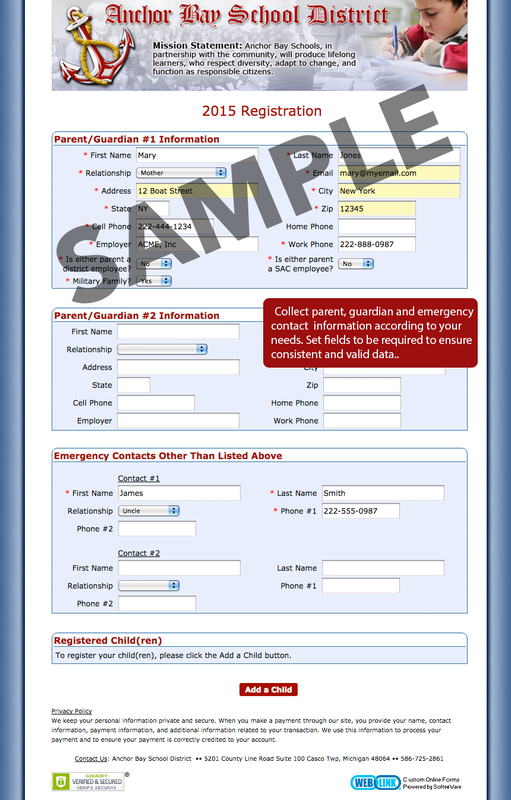 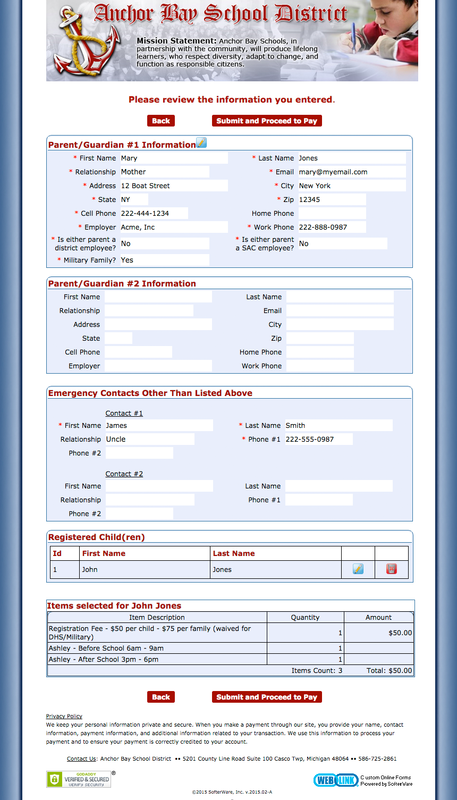 Children’s Country Week Association uses online forms to collect comprehensive data, including education, criminal background and references, on a staff application. 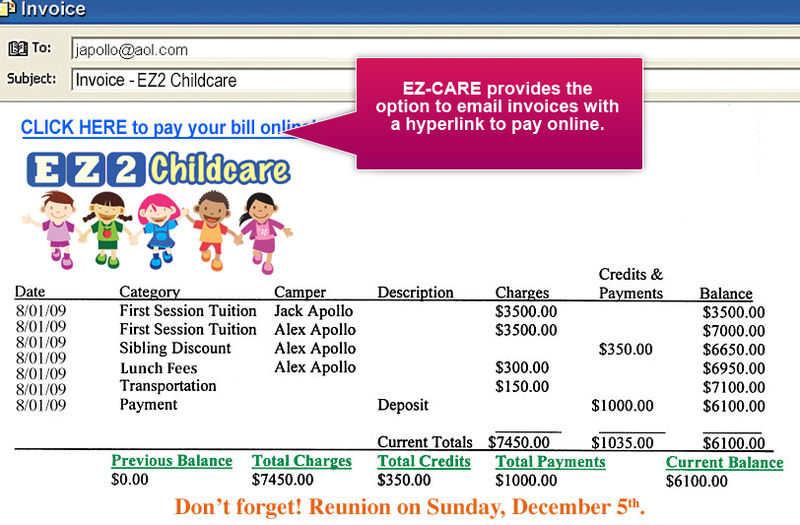 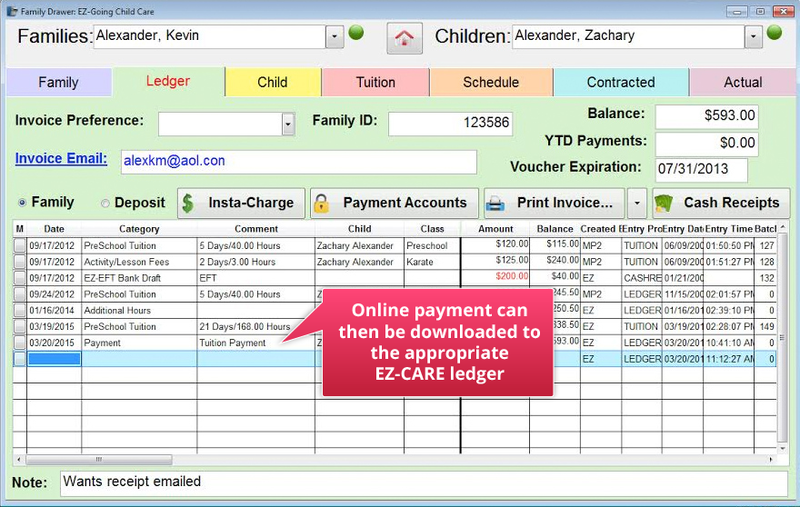 EZCare email invoice system allows link to allow parents to pay their charges online via credit card. 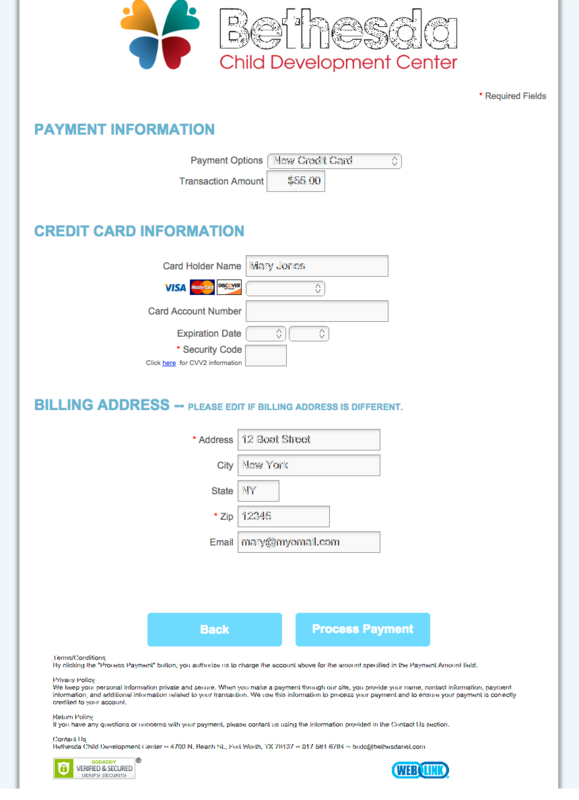 This type of form is very generic and can be placed directly as a link on your website allowing you to receive payments at any time. 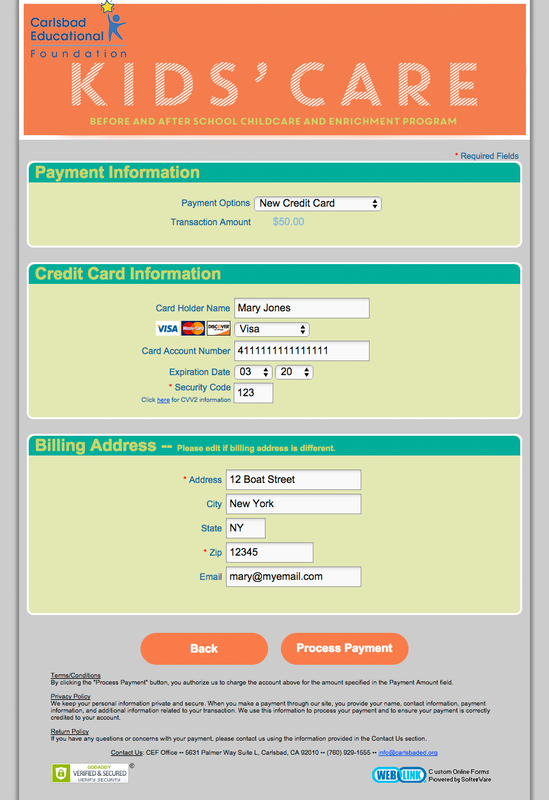 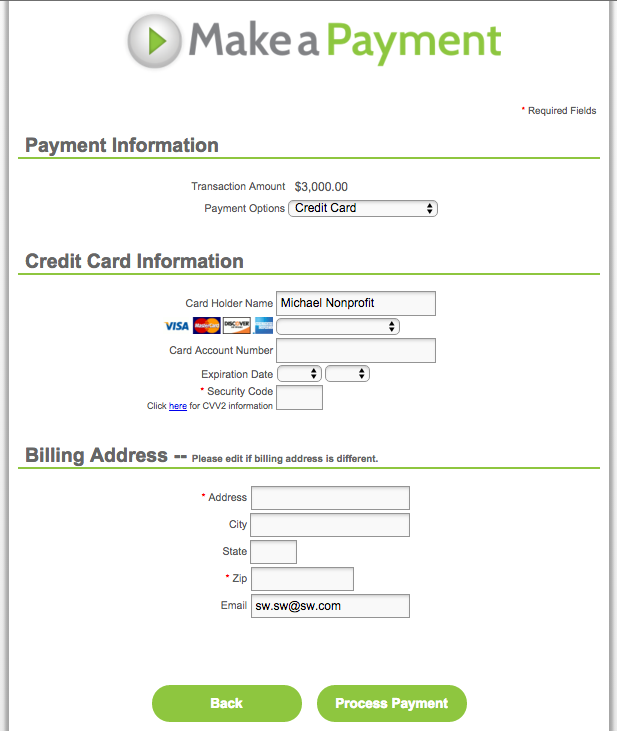 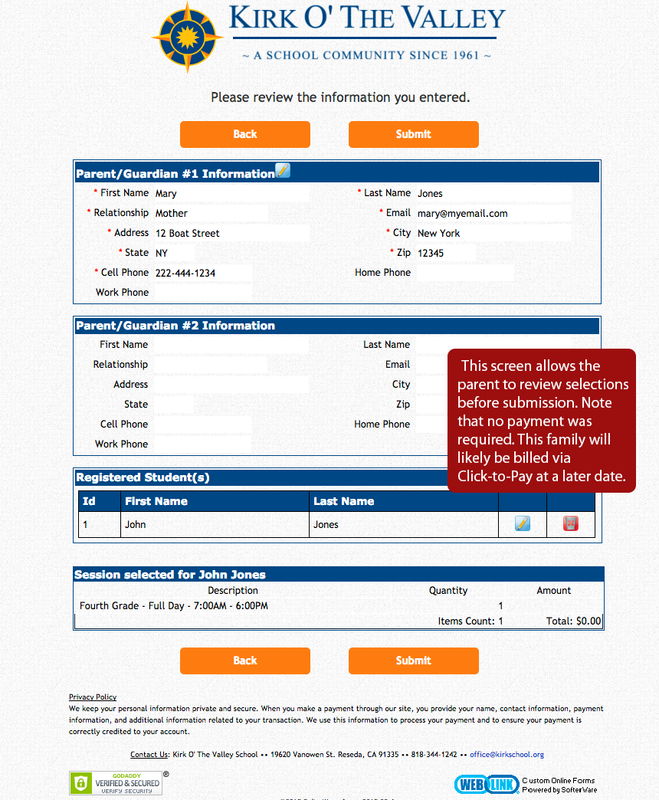 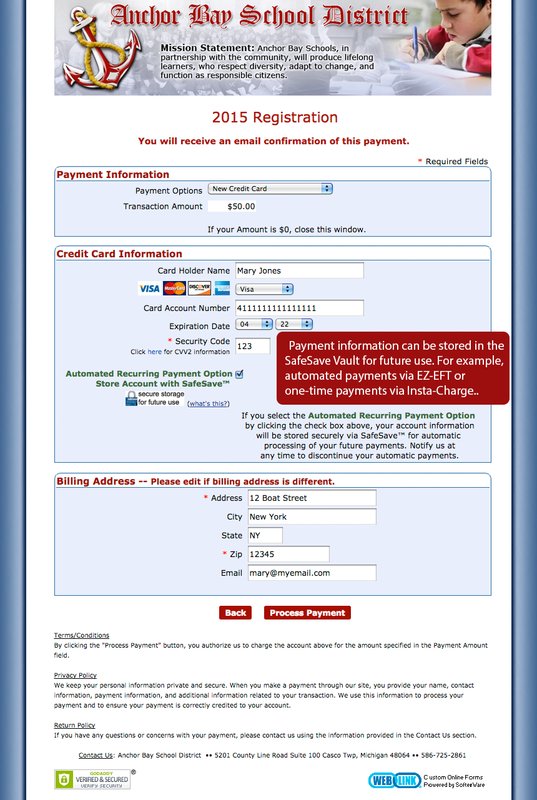 This form is very similar to our online payment form but without any pre-filled information.